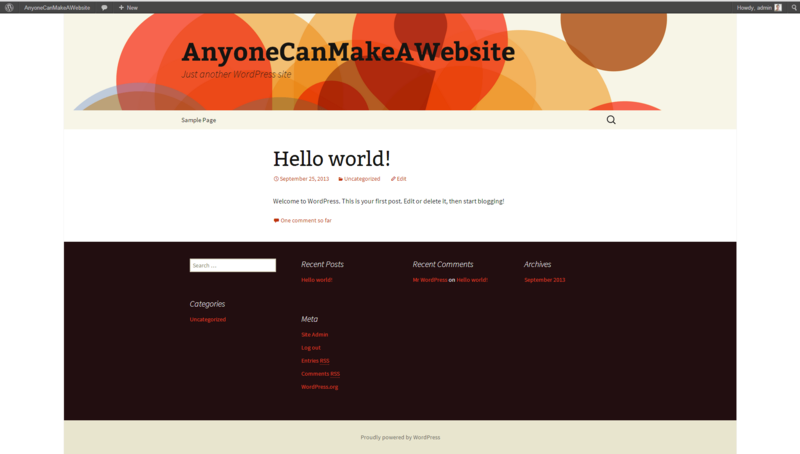 Anyone Can Make A Website: Here’s How! The internet is full of super simple fun websites. So many are hilarious or beautiful or smart, and the basic ones are so easy to make. You can learn how to build a basic website in 30 minutes. For those not in internet fields, I wonder if that is common knowledge. Did you know you could publish something online that quickly? There have to be millions of people out there that have a great idea or are really funny or are great at drawing that should have a website, but are intimidated by the idea of creating one. I’ll repeat what I mentioned in Who Should Blog and Why: If you’re passionate about something, I want to hear about it. If you have a skill or interest, put it online–it’s the most easily and widely consumed media today and it’s only getting more so. It’s not just blogging, though. If you’re great at drawing, take pictures of them and create a comic. If you love going out, write a list of the best bars in Raleigh and put that on 10bestbarsinRaleigh.com. It’s that simple. Cheap too. Here, I’ll show you how. 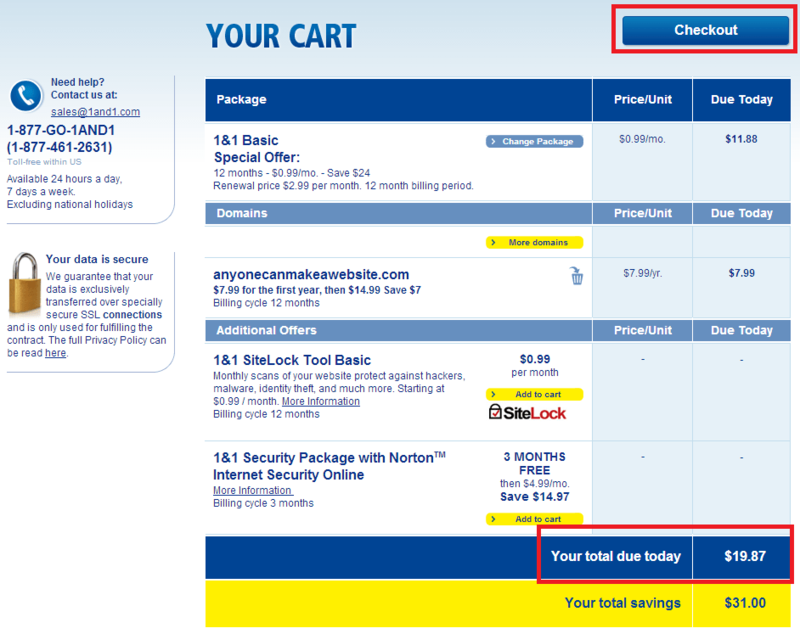 If the domain is available, you’ll see a page like this. Done! 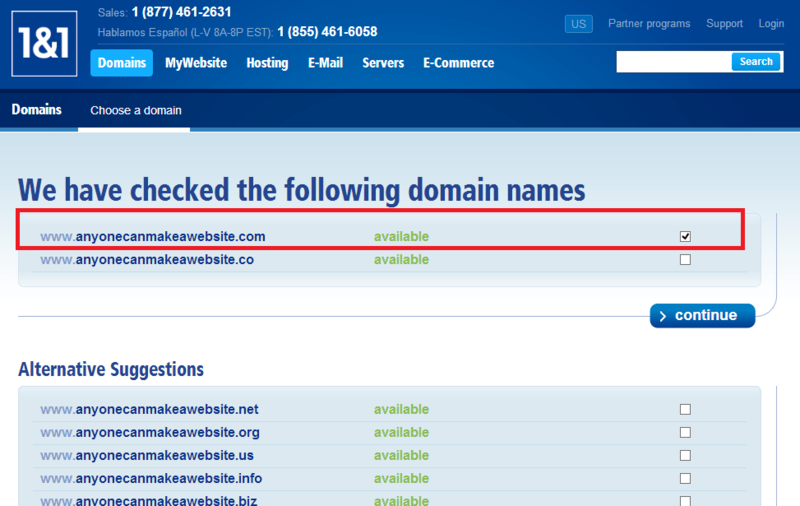 The domain name is available and ready to be purchased. 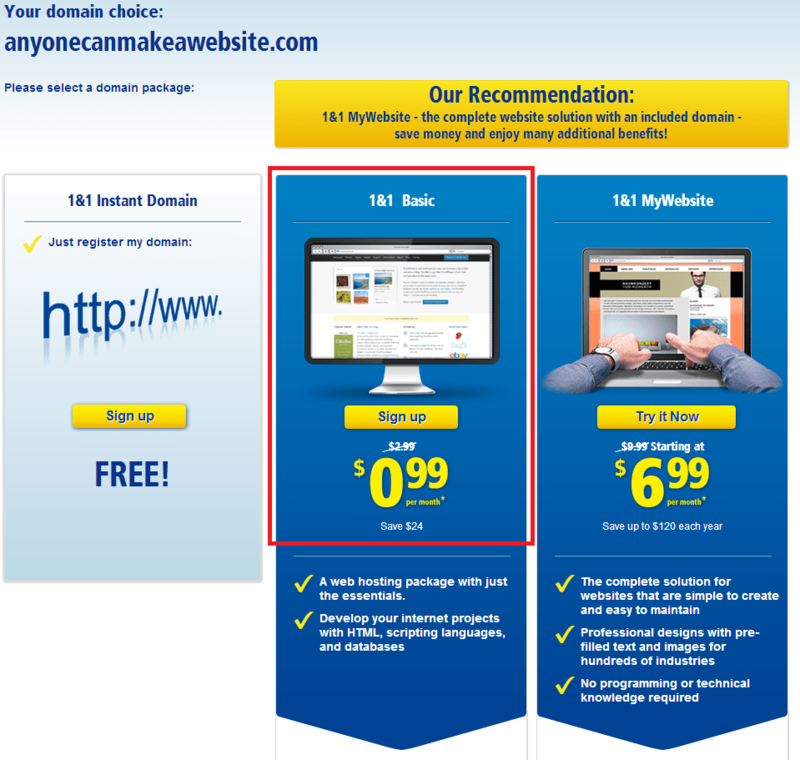 Now, every website needs “hosting“, which is literally a place to put the website files. You can host them yourself, or you can do what most people do and have a hosting company handle that for you. There are many options for where to host your site (this post from Cloudwards goes through a number of things to think about when choosing a hosting company). I like 1and1 because they’re cheap, they have good support, and the admin interface is pretty helpful/intuitive. If you go with them, just stick with the Basic package, it has everything you need. 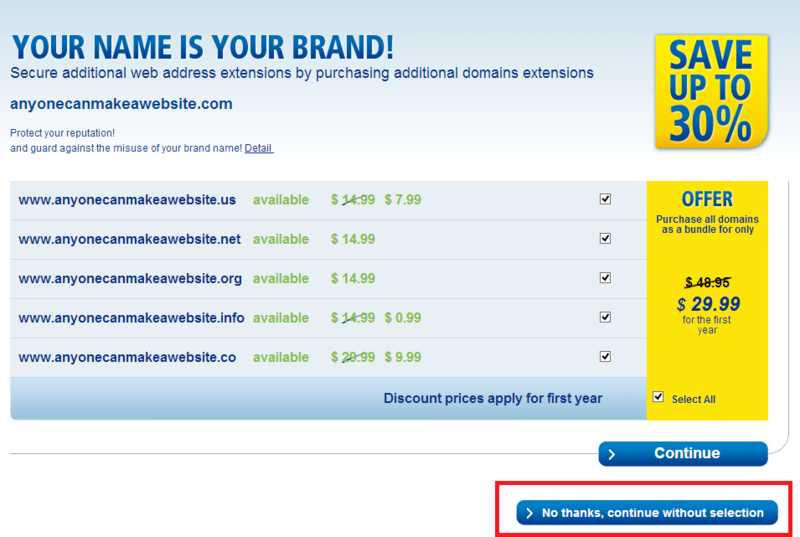 You have the option of buying other domains, such as the .co, .net, etc, but I’d just stick with .com if you can get it. 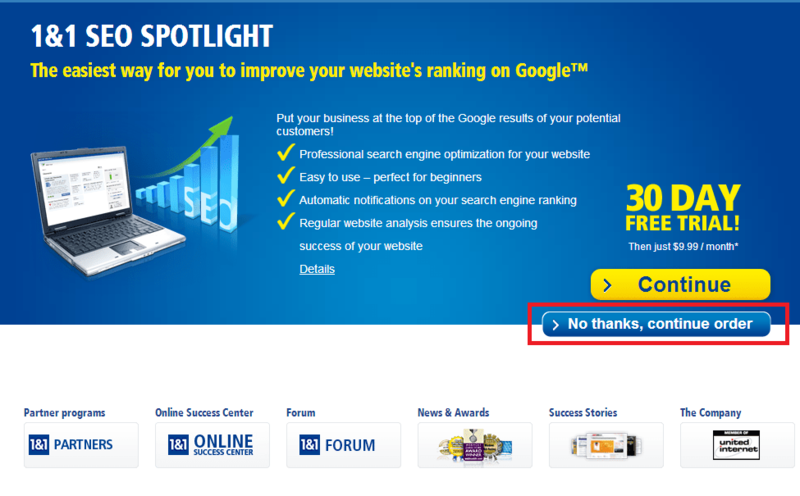 They’re gonna try to sell you some SEO package. Skip that crap. If you have any questions, ask me. There’s the total. $20! 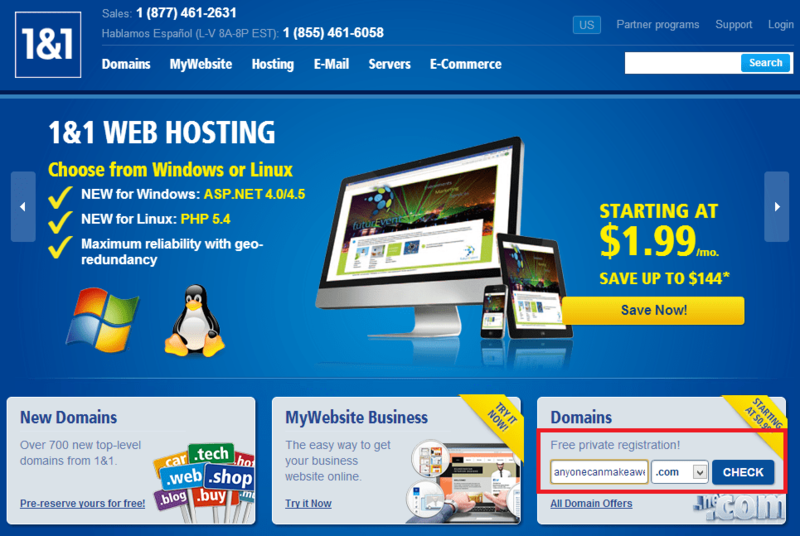 The domain name costs $8/year and hosting costs $12/year. After the first year, these will go up to $15 and $36, but at that point you’ll either love it enough to spend the extra $30/year (not that much) or you can cancel. 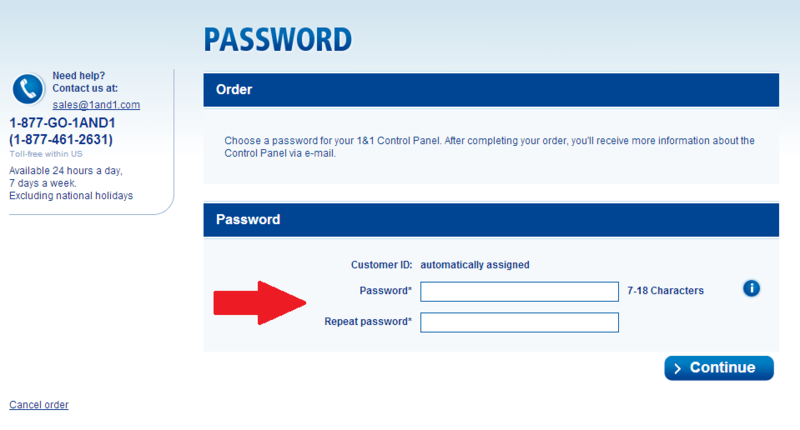 Go through the checkout process and make sure you set up your 1and1 customer password. That’s it! Complete this and you now own a website. Don’t worry about most of these options–I only use about two of them myself. One of the ones I use often is WebspaceExplorer, which is where the website’s files are held. That’s where we’ll upload what we want on the website. Click on that link and you’ll see that, for now, the website has just one file in the folder called index.html. The index.html file is the home page. It’s literally a text file. You can build a basic website in Notepad (I’d suggest Notepad++), you just need some super basic html knowledge, all of which is extensively written about online. For the basic-est of sites, all you need are opening and closing html, head, and body tags. It may sound crazy, but you literally open a notepad file and type this. Like this: <html>, Enter, <head>, Enter…etc. That’s it. You can write whatever you want between the body tags. That’s what will show up on the actual site. Save the file with the filename “index.html” (make sure the file type is .html) somewhere on your computer, then upload it to 1and1 (replacing the old index.html). You have officially built a website. Check it out. This is what it looks like: anyonecanmakeawebsite.com A self-hosted, self-written website like this is great for super basic sites like imaninja.com or eelslap.com. In both cases, open them up and view the source of the page. It’s just some handwritten lines. They’re fun, easy, and cheap. Now, if you want a bit more complexity but you don’t want to write it all by hand, a Content Management System (CMS) like WordPress or HubSpot is what you need. I love me some WordPress, so I’ll show you how to do that. It only takes another 15 minutes. 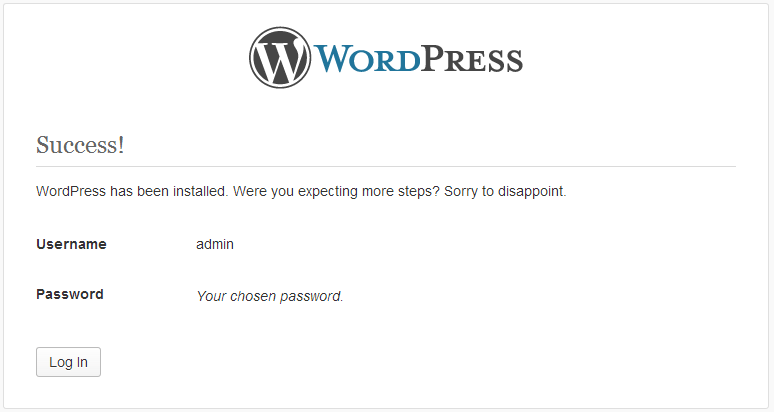 The first step is to go to WordPress.org and click on Download WordPress. On the next screen, download the actual file. It will be a zipped folder. Remember that folder where we’re hosting our website? 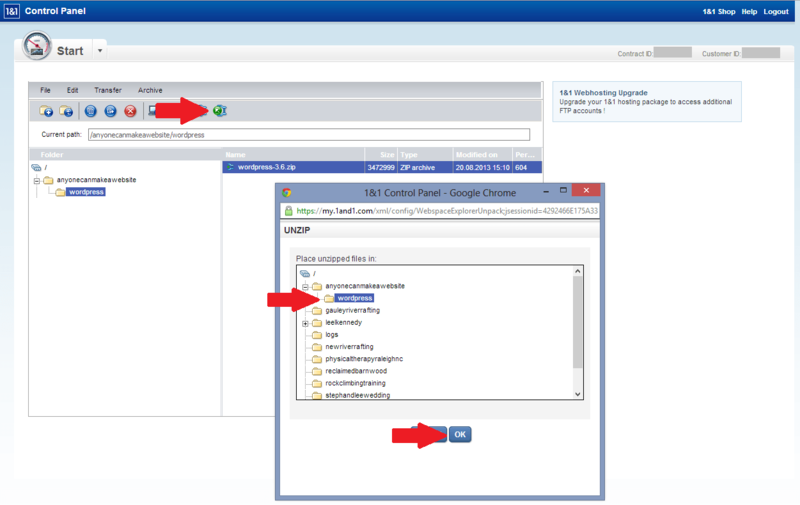 Upload this zipped folder to that folder. In this case, I created a new folder (called anyonecanmakeawebsite) for the old index.html file and another new folder named “wordpress” and uploaded the zip file there. 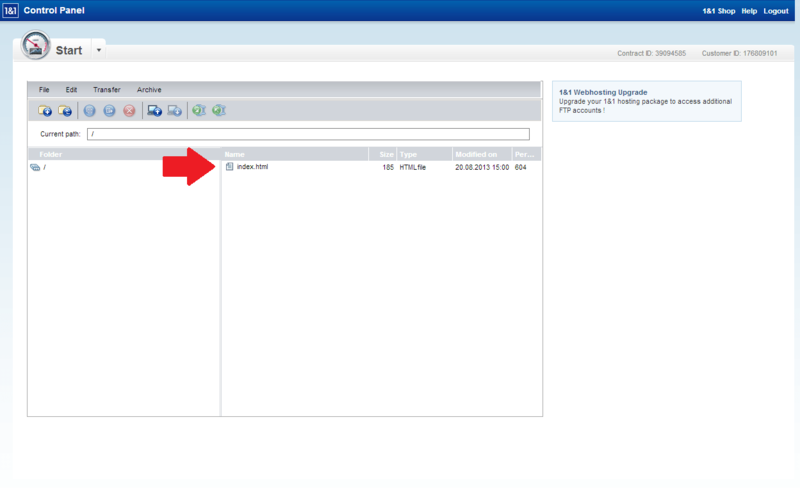 If you want to keep it simple, you could upload it directly to the main folder (the one where the index.html file was). 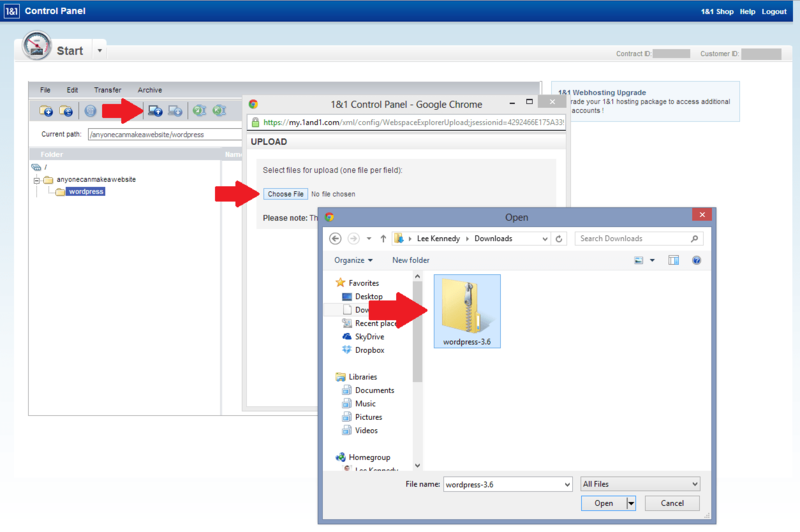 Once it’s in there, unzip the files using either the Unzip icon or by right-clicking on the file and selecting Unzip. You’ll see a slew of funky looking files pop up. 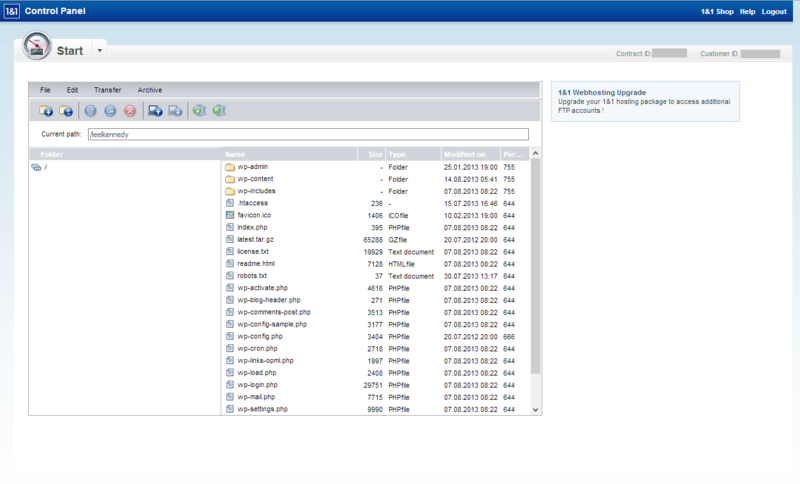 If you see the wp-admin, wp-content, and wp-includes folders, you done good! 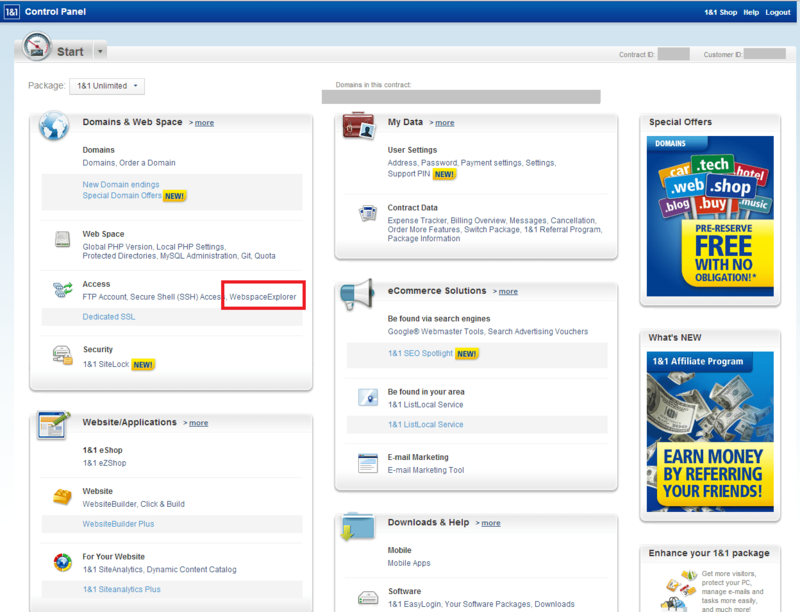 We can now leave the Webspace Explorer section of 1and1 and never come back. The rest will be handled via WordPress. We still need to set it up though. 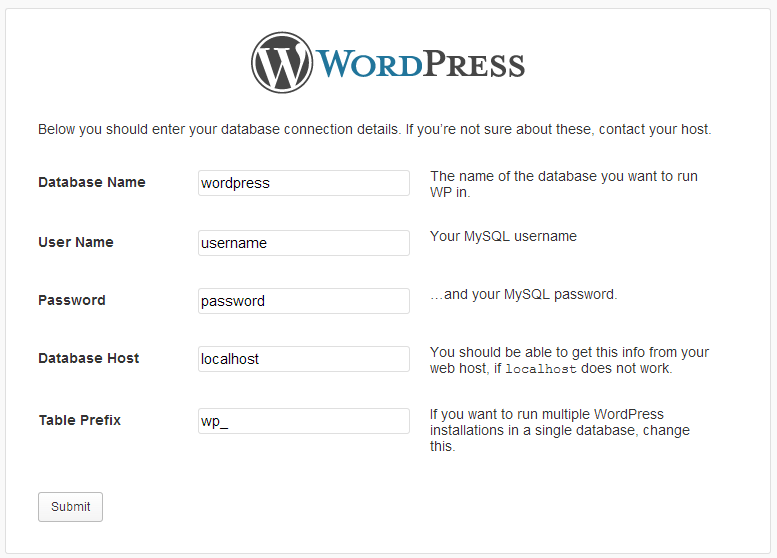 WordPress needs a database to work. Honestly, I’m not even sure why. It has to save things to it? All I know is that it’s required. Click on “Let’s go!” and you’ll see a list of things you need to input: Database Name, User Name, Password, Database Host, and Table Prefix. We’ll be grabbing the first four from 1and1. The last one doesn’t matter. Grabbing these is real simple. 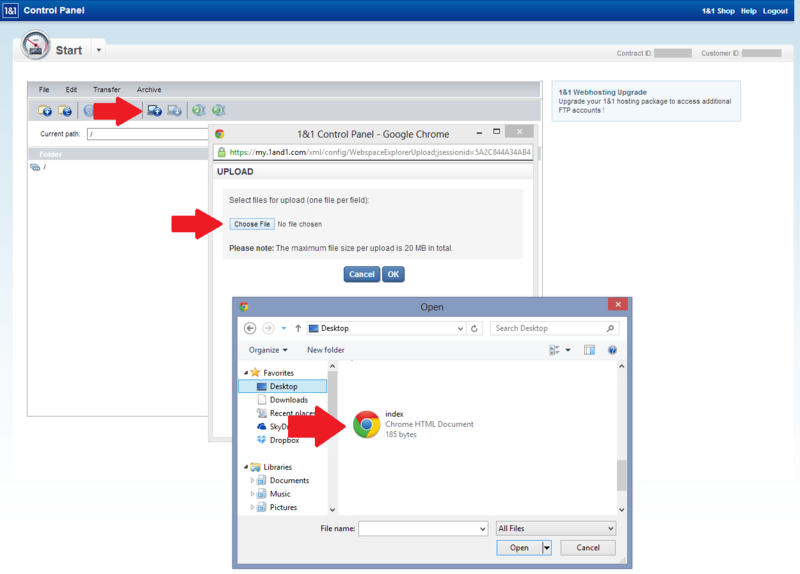 Head back to 1and1, but instead of going to the Webspace Explorer, click on the “MySQL Administration” link. You’ll see a list of your databases. You probably have zero at this point. 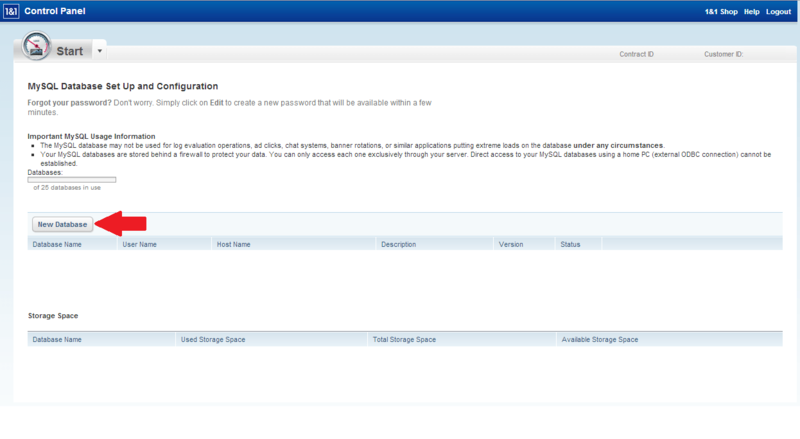 Click on “New Database” to create one. It’s surprisingly easy to create a database. You just give it a name and a password and click “Set Up”. It takes about 5 minutes until it’s ready, but when it is, you’ll see this in your MySQL Administration. 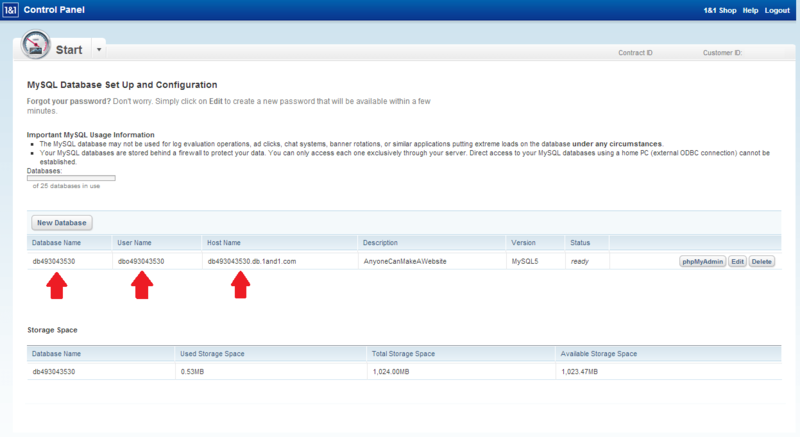 The Database Name, User Name, and Host Name go in the Database Name, User Name, and Database Host blanks in that WordPress setup page we saw just a second ago. The Password is whatever password you just created. 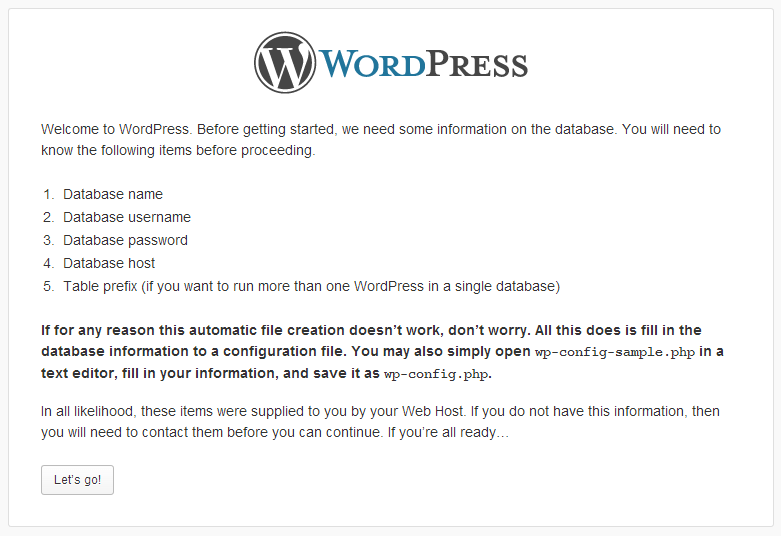 Add those to the WordPress configuration screen and click Submit and you should see this screen! Click “Run the install”. 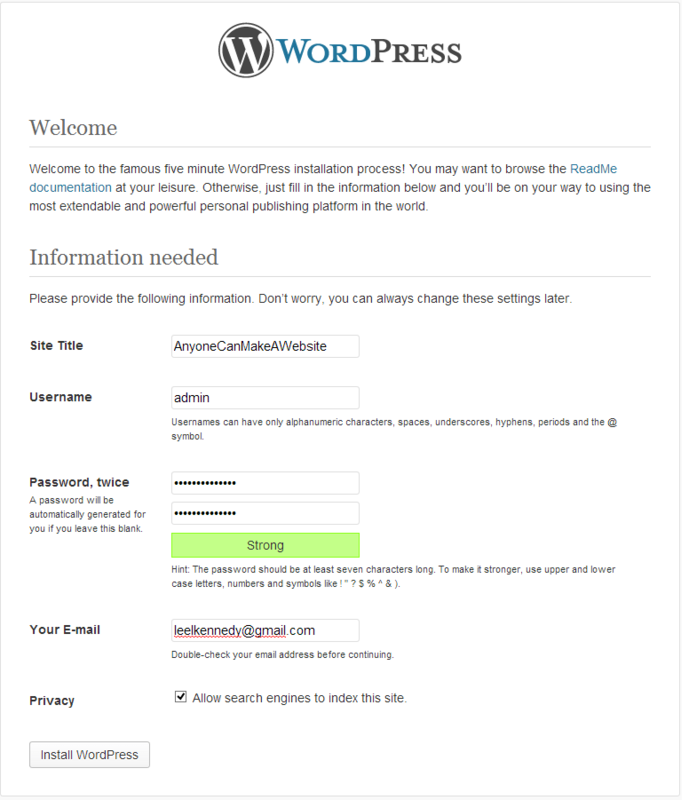 It will take you to the “famous five minute WordPress installation process”, where you give the site a name, add a username/password, and give it your email address. Keep the “Allow search engines to index this site” check box checked unless you’re planning on selling kidneys through the site. Fill all these out and click “Install WordPress”! It’s pretty much instantaneous. You’ll see this screen if everyone has gone well. 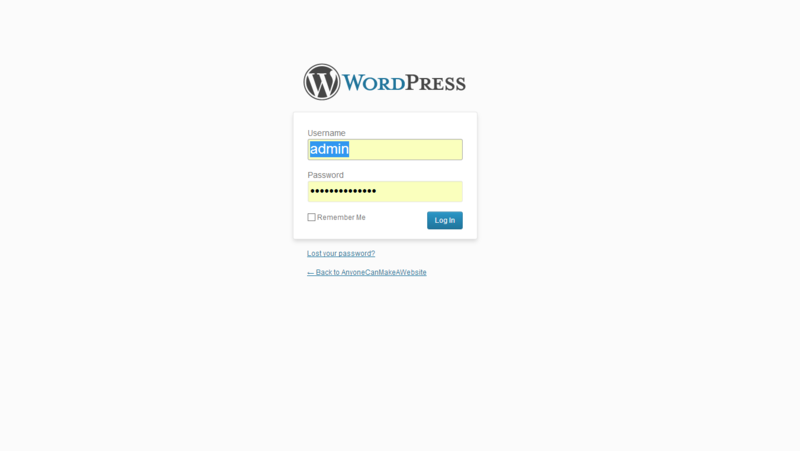 Click Log In and you’ll be taken to your WordPress login screen! Now, say you bought “bestbarsinraleigh.com”. To view your website, you go to bestbarsinraleigh.com. To edit your website through WordPress, you have to go to bestbarsinraleigh.com/wp-admin. When you go to that URL, you will be taken to this same screen. 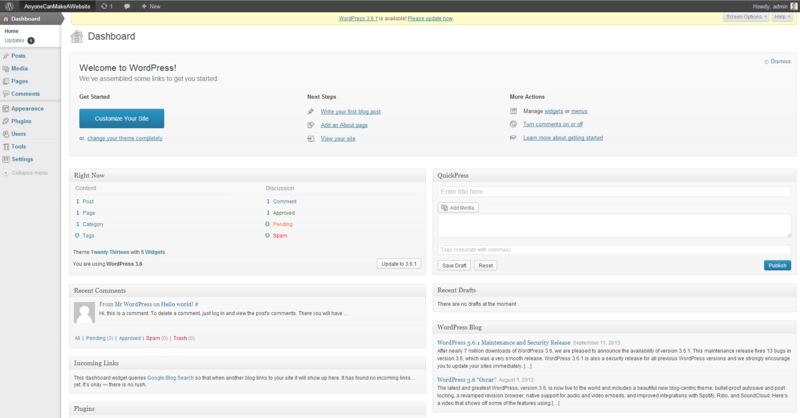 Log in, save the password if you want, and you’ll see the standard WordPress dashboard. And now, when you go to your website (in this case, I’m looking at anyonecanmakeawebsite.com/wordpress), you’ll actually see a site! Now the details on how to actually create your site in WordPress is out of the scope of this post and has been covered all over the internet. Luckily, it’s very easy: for blog posts, you create a Post, for static pages, you create a Page. Honestly, it’s very easy to figure out and most of the fun is messing around with the options and learning for yourself. So go play and enjoy! There we have it! Two different ways to build a website, both in under 30 minutes and for a measly $20/year. I hope this shows you exactly how easy and inexpensive it is, and that you’ll create one! In 50 years, I believe that everyone will have a website and they will be the new Facebook profile or dating profile or resume. This is a great idea too, because there are so many more ways to customize your site and make it your own. I’ve heard that when a kid turns 16 and buys his/her first car, that car is the first place that is fully his/her own, the first place they can live in and customize and feel at home without the intrusion of a parent telling them to make their bed or put away their clothes. That’s why you’d see so many cars in high school with trash and clothes all over the place–it’s because the kid could finally get away with being dirty! It’s the same idea with a website you own. Your Facebook and Twitter or whatever social account you use can only be customized so much–you’re still having to obey the rules and regulations of the site itself. By building your own site, you can create it exactly the way you want it, and you may be surprised at how detailed you can get with it, or how proud you can be when you’ve finished! Anyways. If you have questions or need clarification, do comment or email me and I will be glad to clear anything up. Otherwise, happy interneting and congrats on building a website!